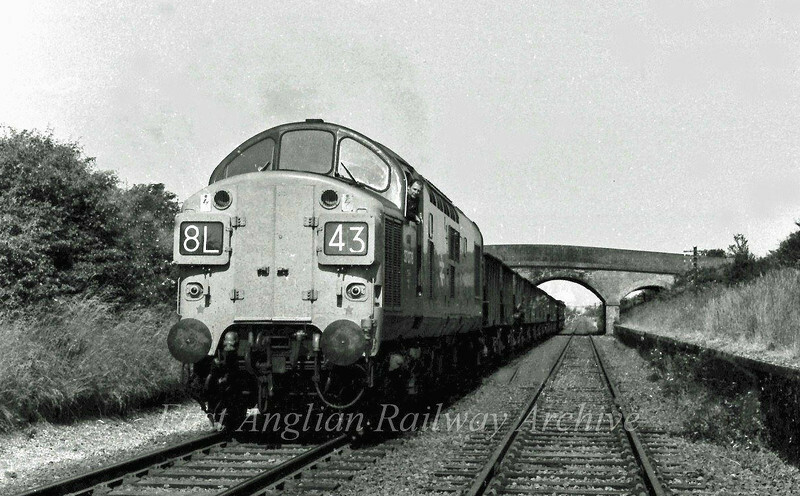 Driver, Bill Duncan, poses for the shot as 37078 makes an unscheduled stop at Windmill Bridge between Swavesey and Long Stanton so that the guard can buy some flour at nearby Over Windmill. I was lucky enough to get a cab ride that day and climbed down to get the photo. Thanks to all 3 of the train crew for an excellent early morning out and back in time for breakfast. Image dated:- 24th June 1975. Note the up line at this time was out of use and single line working in force.